The food. Obviously. What else are the holidays about? Only joking. We know that family time and having a break from classes is important, too. But that warm, cozy, happy image isn’t complete without the smell of food. Lots of food. And as we all know, dessert is the best part. At Purdue Housing and Food Services, we want to encourage holiday spirit and get you ready for winter break by holding a gingerbread competition among our various operations, and we need your help to determine the winners! Best Structure: decided by a panel of judges. Popular Vote: determined by you! The rules are simple. All you need to do is choose the structure you think should win this year’s gingerbread competition at this survey. You can also vote on-site in the Purdue Memorial Union main lounge (the houses are on display near the tree) or on Facebook. 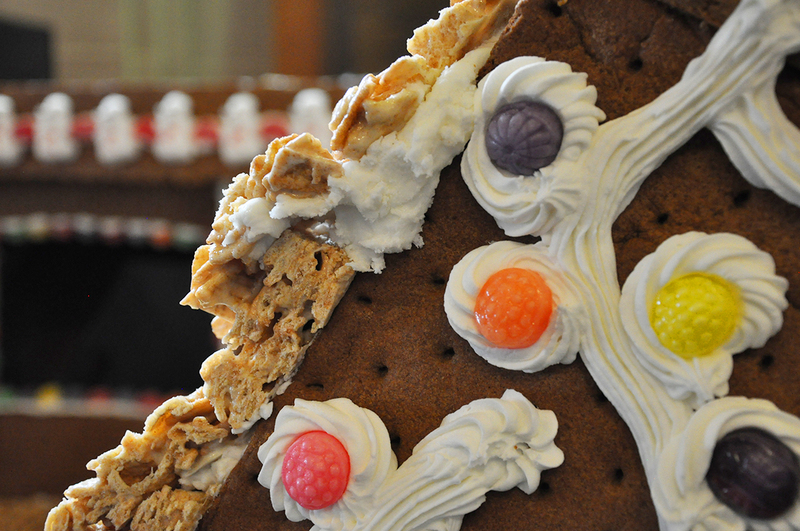 Go to the ‘2013 Gingerbread Contest’ album on Purdue Memorial Union‘s profile and Like your favorite picture! Please only Like one of the entries so we can be fair to all contestants. or stop by Purdue Memorial Union to vote on-site (with a QR code). Get out the vote and hurry! The contest is only running from Dec. 4 at 9 a.m. to Dec. 6 at noon! Previous PostUpcoming Gingerbread ContestNext Post2013 Gingerbread Contest Winners!